Whatever your challenges, from practical to strategic, Kingshay have the expertise to help you get the best from your farm. 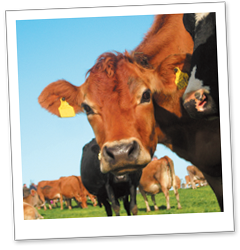 "Kingshay - impressively unbiased and filling a vital role for tomorrow's dairy farmers." We specialise in providing independent and practical support to farmers throughout the UK. We provide farmers with practical, unbiased information and support based on our own trials and investigations. The range of services includes technical notes and reports based on our own practical farm-based research, field scale evaluations, surveys and product comparisons; comprehensive dairy herd costings and analysis; on-farm consultancy advice and training workshops. 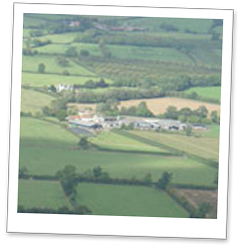 Based on a commercial dairy farm in the heart of the Somerset milk field, we have a team of agricultural specialists, all of whom have practical farming backgrounds as well as agricultural qualifications. One day they could be driving a tractor on one of our field scale trials, the next they could be writing an in-depth report on, say which bedding machine is the best. Above all their key skill is putting across practical advice in a way which farmers can relate to, allowing them to make real improvements to their farming operations - from simple things like which teat dip to use to fundamental changes in business direction.